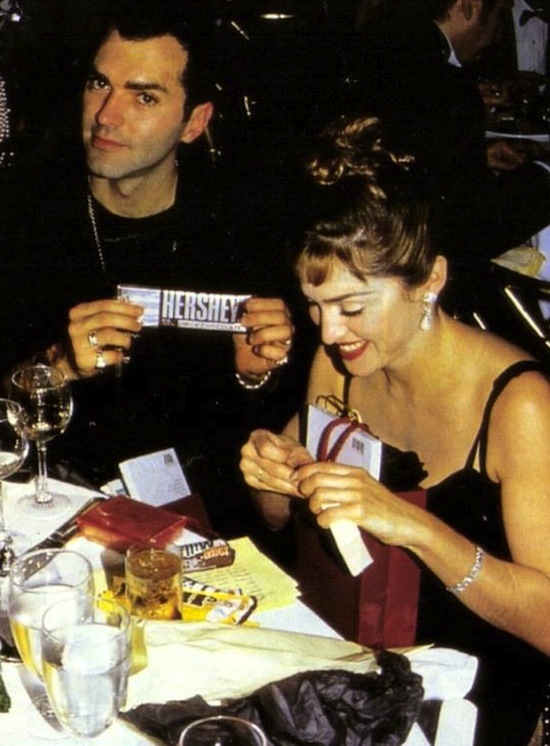 On December 10 1991, Madonna was honoured with the Award Of Courage by the American Foundation For AIDS Research (AMFAR) at a Regent Beverly Wilshire Hotel dinner, in Beverly Hills, California. 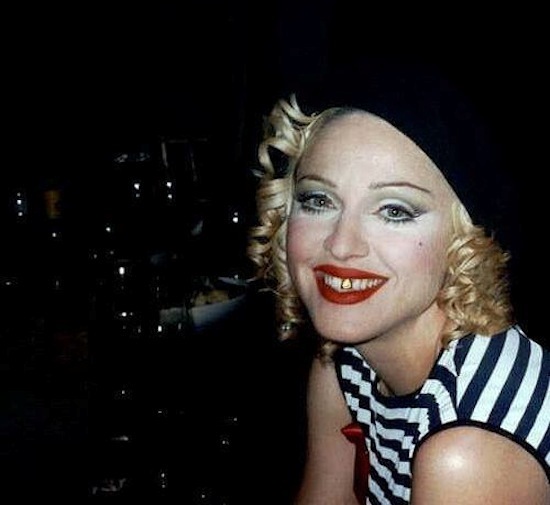 “When the rumors surfaced that I was HIV-positive, I thought, well, someone’s really bored today . . . let’s make up a real juicy story. I tried to ignore it but it wouldn’t go away. . . . Instead of pointing the finger at people and having witch hunts and ostracizing each other for lifestyles and sexual preferences, we should all be uniting to fight this disease . . . but we’re not. Because we’re afraid. We’re scared out of our skins to face the truth that AIDS is not a gay disease, it’s a human disease. Now I’m not HIV-positive, but what if I were? I would be more afraid of how society would treat me for having the disease than the actual disease itself. If this is what I have to deal with for my involvement in fighting this epidemic, then so be it. The event drew 850 guests, and raised $750,000 for AmFAR. Performers included Patti Austin, k.d. lang, Barry Manilow, Michael McDonald, David Pack and Rosie O’Donnell, who did a hilarious send-up of the Madonna’s Vogue. 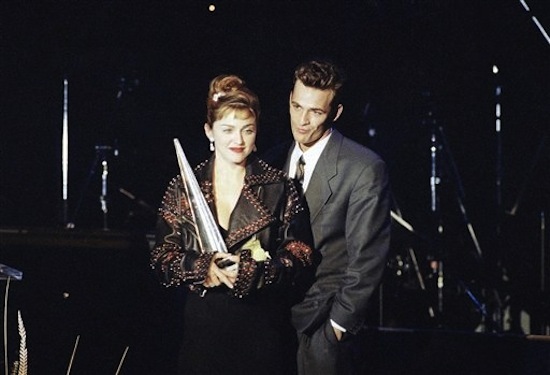 Madonna, Sharon Stone, Harvey Weinstein, Michelle Yeoh, Michel Litvak, Carine Roitfeld, Caroline Gruosi – Scheufele, and amfAR Chairman of the Board Kenneth Cole will serve as chairs of amfAR’s Cinema Against AIDS, to be held on May 22 during the 61st annual Cannes International Film Festival. The evening will be presented by Bold Films, Chopard, and the Weinstein Company. The annual star – studded event, which will benefit amfAR, will take place at Le Moulin de Mougins and will feature a formal dinner, along with amfAR’s world – renowned live auction and a special performance by Seal. 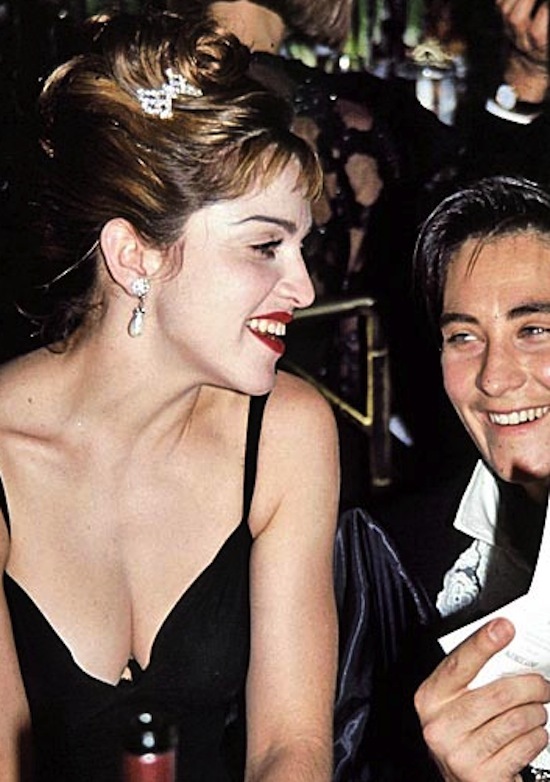 In addition, this year’s event will feature a short clip of I Am Because We Are, the Madonna – produced and – narrated documentary about children orphaned by AIDS in Malawi. The full screening of I Am Because We Are is scheduled to take place the evening before, May 21, in Cannes and will be associated with amfAR’s Cinema Against AIDS event. 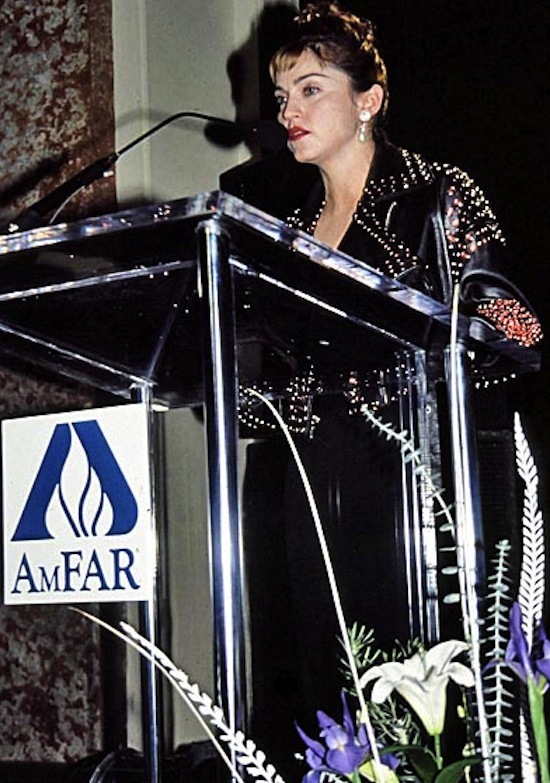 Madonna’s long history with amfAR began in 1992, when she received the Foundation’s Award of Courage. Harvey Weinstein and Sharon Stone, tireless advocates for AIDS research and amfAR, will conduct the highly anticipated live auction with the assistance of several of the event chairs and other celebrities who will be present. In Past years, the auction has seen legendary impromptu performances by Sir Elton John, Robin Williams, Natalie Cole, Liza Minnelli, Sheryl Crow, Ringo Starr, Macy Gray, Milla Jovovich, and Lionel Ritchie. Last year’s live auction raised million, bringing the evening’s fundraising total to million. 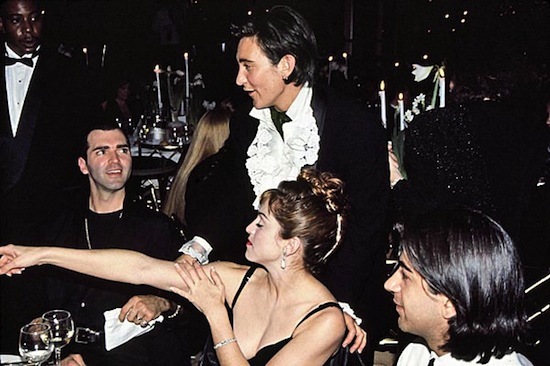 amfAR’s annual Cinema Against AIDS gala has been an important and successful fundraising event for the Foundation since 1993, generating more than million for essential AIDS research. 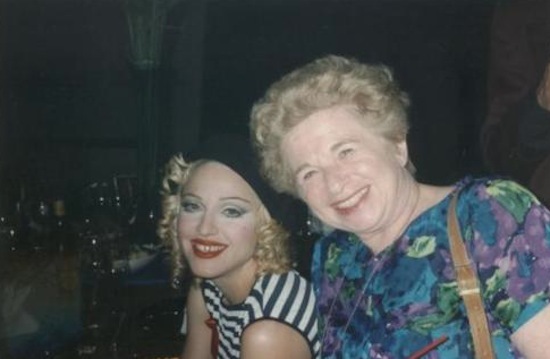 Past events have been hosted by Dame Elizabeth Taylor, Sharon Stone, Demi Moore, and Sir Elton John.